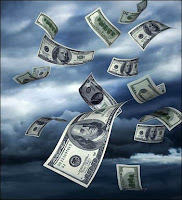 Ho'oponopono for the Doctor's Soul: Ho'oponopono and money -- what to hold onto in a financial hurricane? Great post, on financial matters. I think we just all need to start cleaning and talking to our inner child. If we started cleaning on these memories of poverty, it would help erase them. I live in Canada, so I don't think our economic situation is as bad, as the States, but if everyone took responsibility and started cleaning, it would help erase these money memories that seem to be hanging around. I'm glad you read my blog and enjoy it. Thanks for this post and the clarity of your explanation and your personal experience. I'm new to the work and I'm loving it! I'm in the game to take complete responsiblity for my every thought, word and deed and everything that I see in others (and world events) that I think needs to be fixed - I clean in myself. This is the ticket and I love the tools. So simple and accessible to everyone. Smile and Love to you for the work that you do!